This website is dedicated to a monument in Den Dungen - Noord-Brabant - The Netherlands. 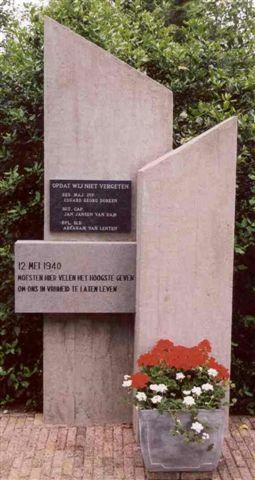 This monument is erected in remembrance of the fight on the 12th of May 1940. During that fight 3 Dutch and 8 German soldiers were killed. Due to the nature of this website are all pages in Dutch.